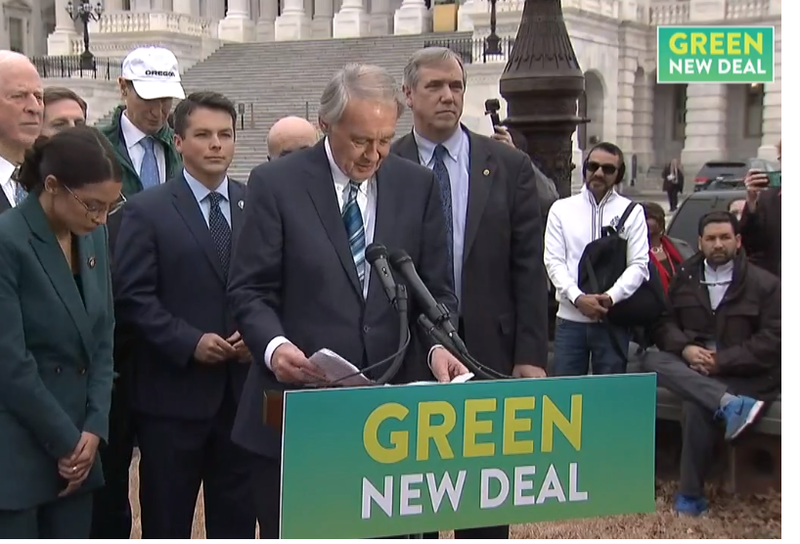 Loris: Green New Deal Would Barely Change Earth’s Temperature. Here Are the Facts. Democrats Want to Close the “Gender Pay Gap. Here Are 4 ways Their Proposal Would Backfire. With the Green New Deal’s defeat, are leftists in Congress running away from socialism, or are they sneaking it through with smaller bills like the Paycheck Fairness Act? Obamacare suffered another blow this week. 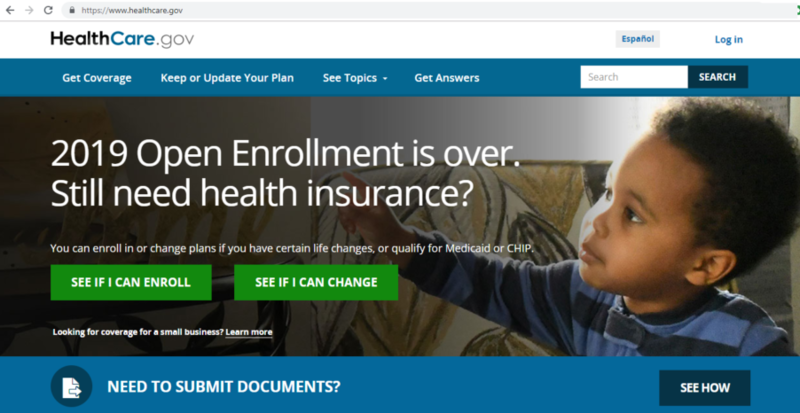 On Monday, the Department of Justice said it agreed with a federal district court in Texas that found the Affordable Care Act to be in violation of the Constitution. The court’s ruling is now being appealed to the U.S. Court of Appeals for the Fifth Circuit. Read up on the details here, and don’t miss Jarrett Stepman’s take on the situation in The Daily Signal. Meanwhile, leftist lawmakers are now backing the “Medicare for All” single-payer health care plan, which would outlaw private insurance, drastically expand taxes, and increase wait times for care. Fortunately, the president wants to see a new health care law passed, and Heritage has a market-based plan that puts patients first. Read Heritage’s new Explainer on how to overhaul the health care system the right way. What do you think about the Department of Justice’s decision to affirm the district court ruling? Are we close to seeing the end of Obamacare? 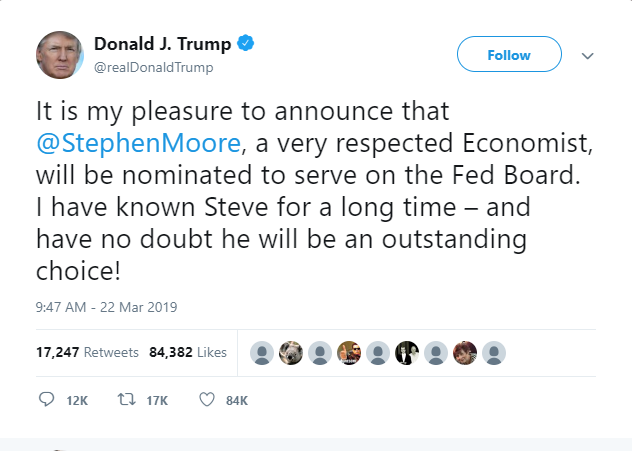 Last Friday, President Trump announced that he intends to nominate Heritage Distinguished Visiting Fellow Stephen Moore to the Federal Reserve Board. Read more about the nomination on The Daily Signal. “President Trump should be applauded for tapping Steve to serve in this important role,” said Heritage President Kay Coles James. “Steve will steer America’s monetary policy to make a strong economy even stronger.” Read her full statement here. Please congratulate Steve on his nomination! Reaching more Americans with the conservative message is one of Heritage’s top priorities. 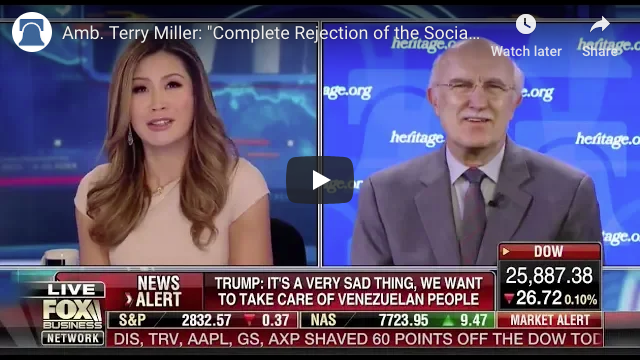 That’s why Heritage experts are regularly advocating for conservative principles and policies in the media. Each week our Communications team assembles the “Best in the Press” of our television interviews, op-eds, and media mentions. With the Mueller Investigation now over, partisan liberals attacked Attorney General Barr for following the process set forth by Congress. Read Heritage expert and Department of Justice veteran Hans Von Spakovsky’s breakdown of the Mueller Report’s release here. See all the media hits here. If you were looking across the media landscape, where should Heritage be focusing their attention to spread the conservative message?